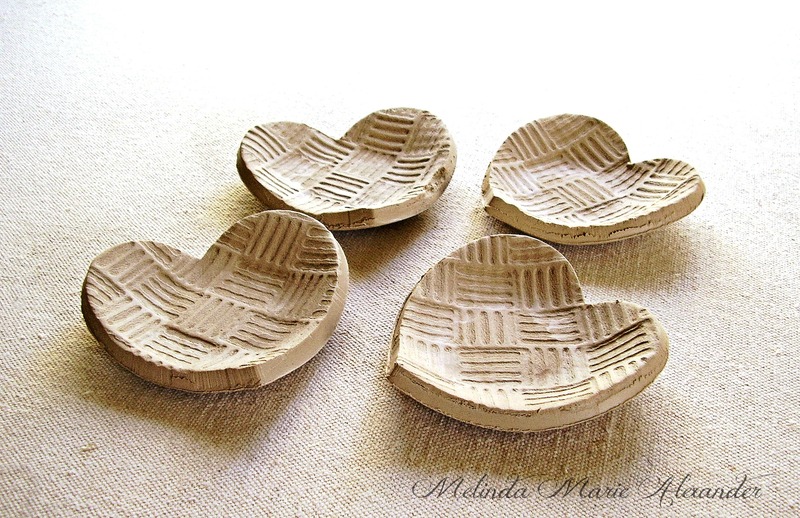 I like making heart dishes! 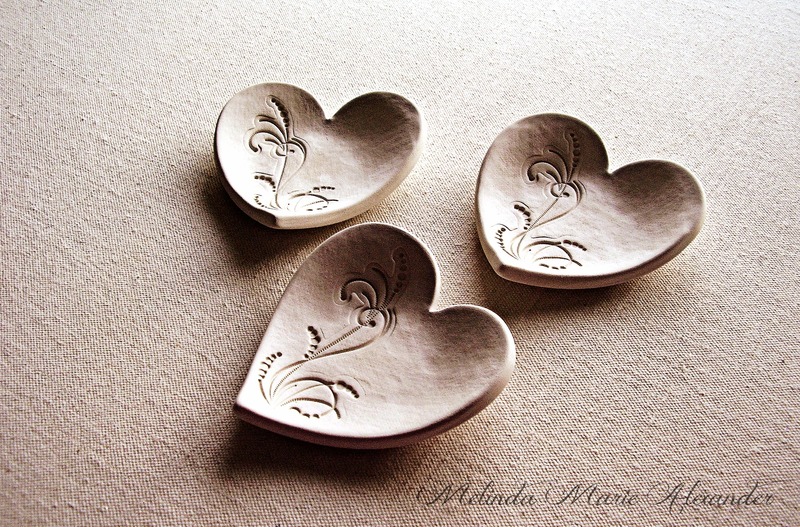 I always have pieces of clay leftover when I make dinnerware. 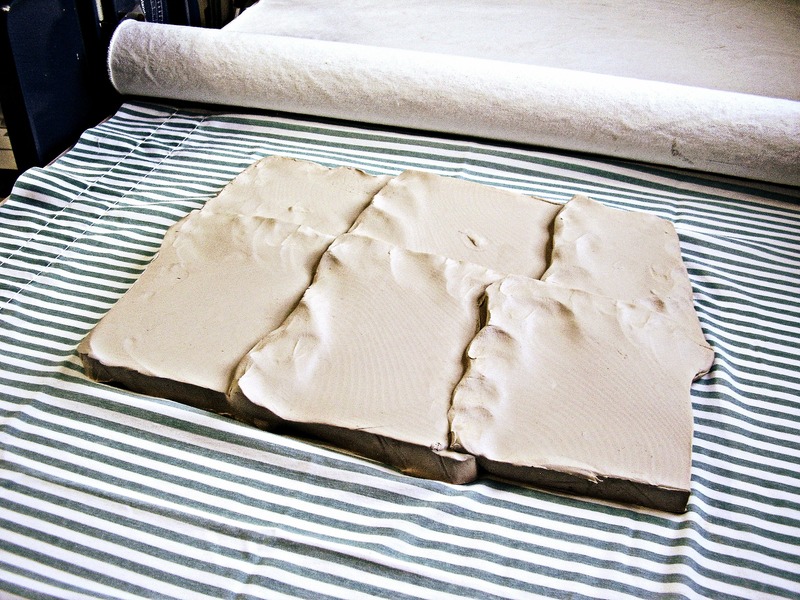 I’m not about to smash it together and re-wedge it! 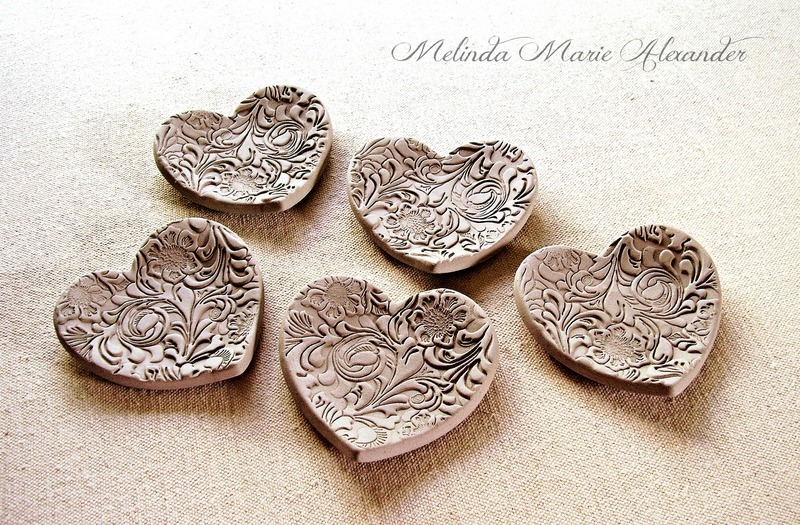 So, making heart dishes, leaf dishes, and ornaments with the leftover clay, is a great way to use up all those little bits and pieces. 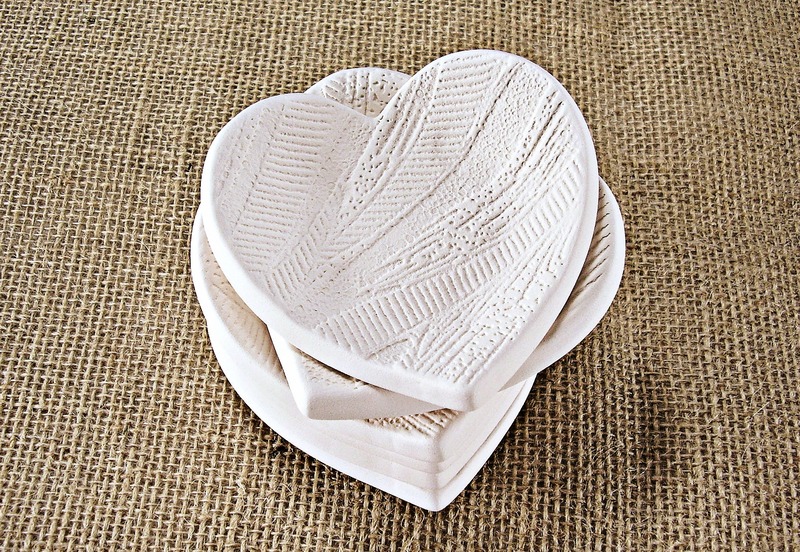 And people seem to really like heart dishes. I took this photo right after I made these. They hadn’t been cleaned yet. 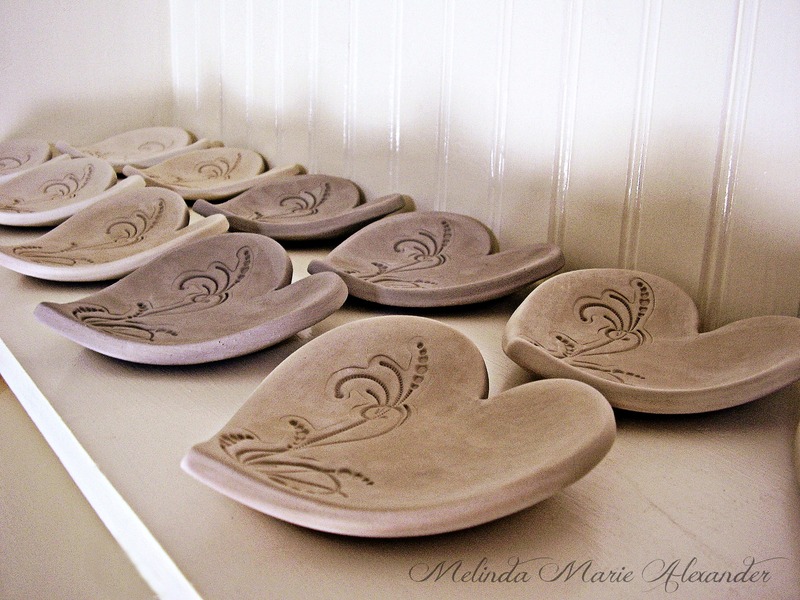 Now, they’re bisque fired and waiting to be glazed. I love these! Can’t wait to make more! 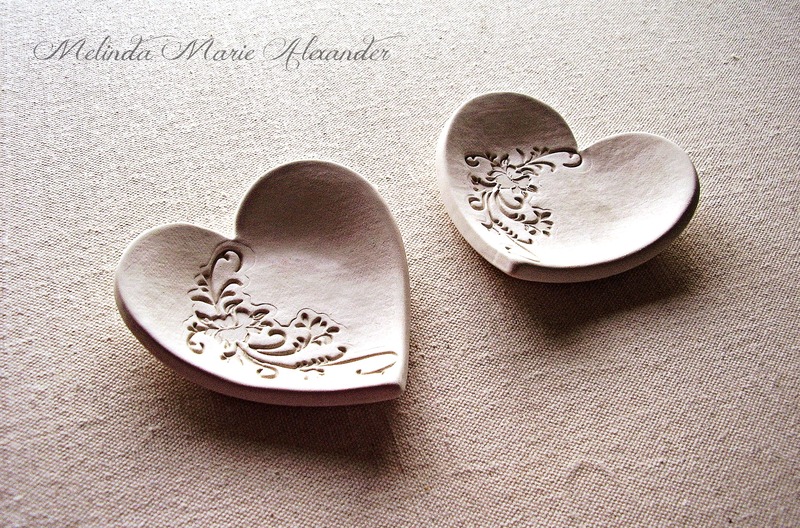 I’ll have to make more of these, especially for Valentine’s Day! These are so pretty and they sell really well. These really sell well, too! I don’t think I have any of these left? I have several of these, but only glazed one of them so far. 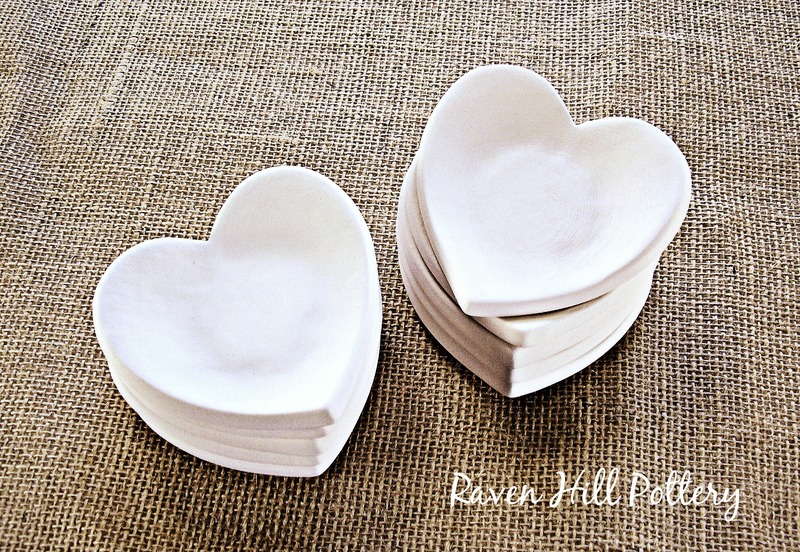 I think I might want to try some of those glaze combinations from yesterday’s post on these plain hearts. I might get some good results. We’ll see! I think these came out super cute! What do you think? 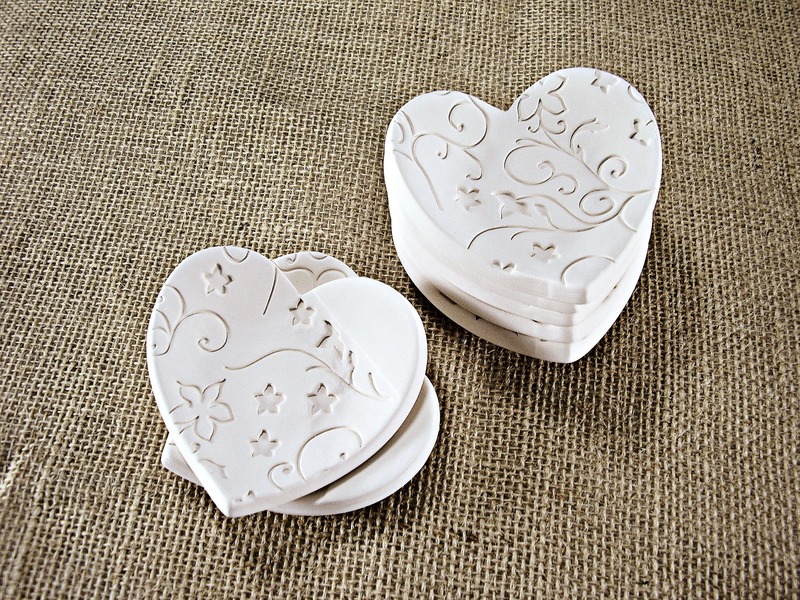 I really wanted to glaze them, but right when I was about to do that, I found out we had to move…sooner then I thought. So, all production stopped. I really should start packing, but I’ve been procrastinating. Leave it to me to wait for the last-minute! 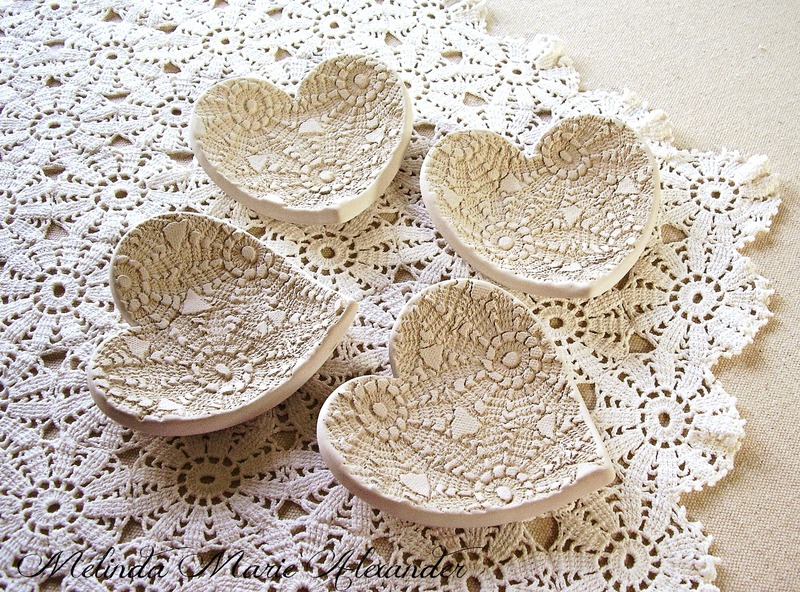 These are very special heart dishes, made from my husband’s grandmother’s Portuguese Lace. I did a blog post about them on blogspot awhile ago. I guess I should re-do it on WordPress. Oh, that might be my “P” post…good idea! 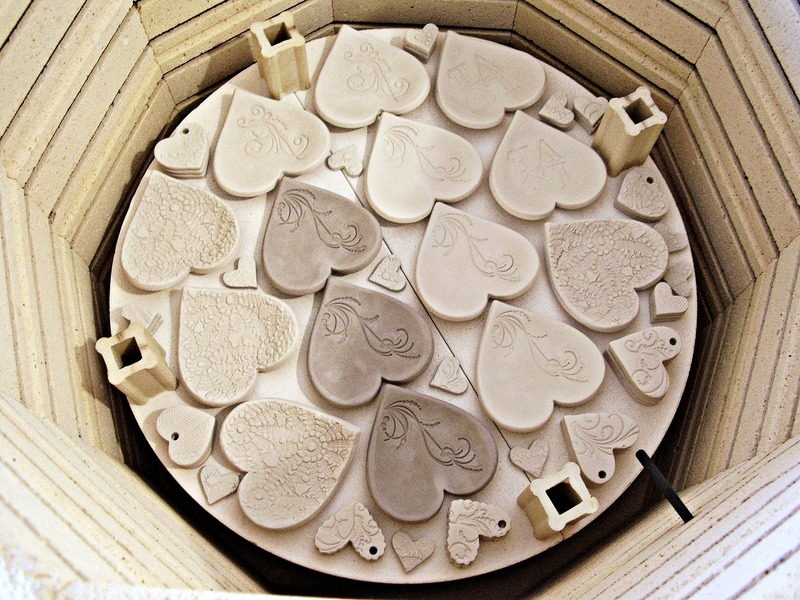 And here they are…in my kiln. 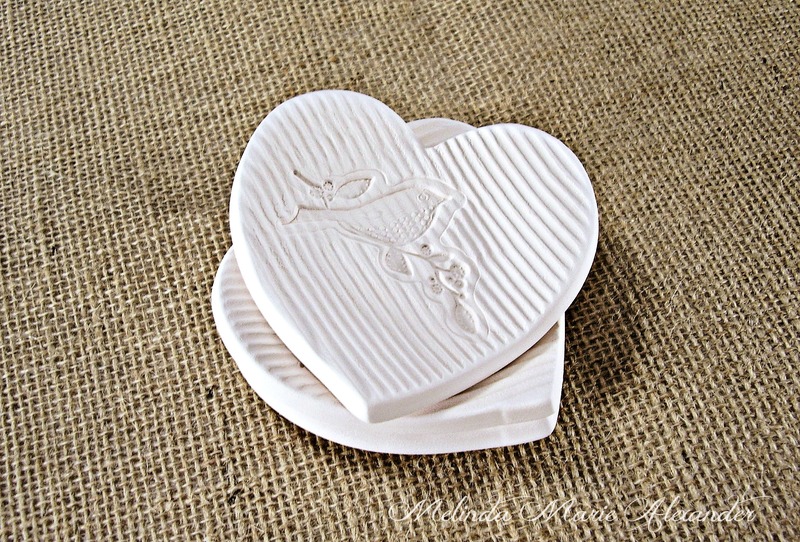 This entry was posted in Uncategorized and tagged art studio, artist, artist workshop, blogging, Blogging from A to Z April Challenge 2015, ceramics, clay, designer, digital prints, Etsy, facebook, handmade, handmade heart dishes, hearts, home decor, Melinda Marie Alexander, photographer, photography, photos, pinterest, potter, pottery, Raven Hill Pottery, ravenhillpottery.etsy.com, texture, twitter, wordpress, workshop by ravenhillpottery. Bookmark the permalink. 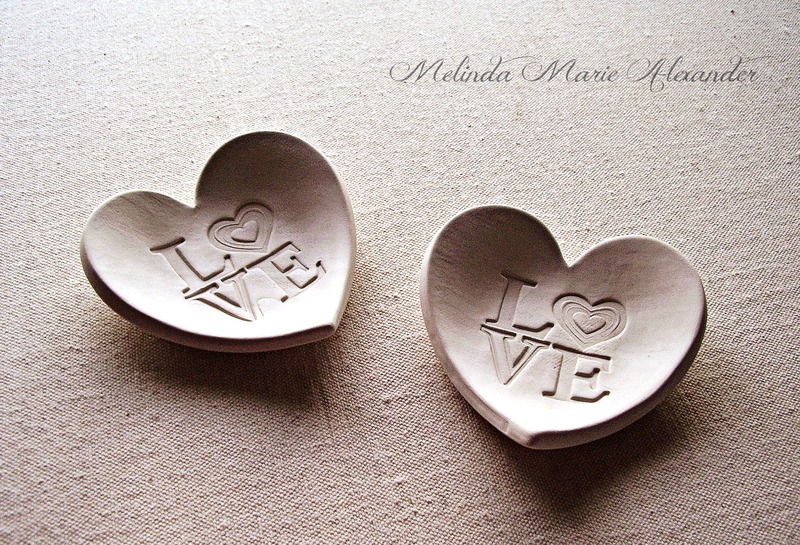 Melinda, I love these dishes – and to think that you make them to use up scraps of clay. Gorgeous! Just gorgeous.